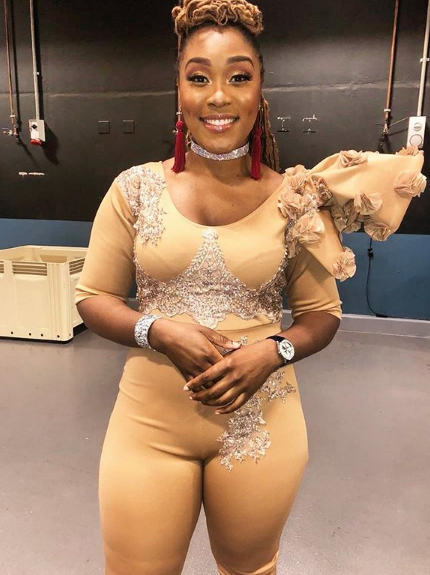 Lady Zamar’s performance at the Miss SA Pageant on Sunday was faultless as always, but according to the Twitter streets, the same cannot be said for her outfit. While many had their eyes glued on the beauty queens who were vying for the coveted Miss SA crown, some could not help but notice Lady Zamar’s rather ‘interesting’ fashion sense and wasted little time sharing their opinion through the unforgiving Twitter. The Love is Blind hit-maker was wearing a peach jumpsuit with boots. This outfit became the talk of the town on Twitter with some users making hilarious comparisons and pleading with her to change her designer. But Lady Zamar couldn’t be bothered. I love you sthandwa but your fashion sense azkhiphi bbe?? They left you to walk around like that? ? ?